As I write this I am sitting in the backseat of a Toyota listening to the Beatles with three Slovenians who I don’t know. I am hitchhiking! The couple in the front told me their names, but I just nodded and smiled. Don, a fellow hitchhiker, is in the back with me. They all seem like very nice people. We are 1.5 hours into a 6 hour drive from Ljubljana, Slovenia to Split, Croatia. The idea of a different kind of trust popped into my mind because: I obviously don’t know these people and I am “trusting” everything will be great. I didn’t even arrange this modern day hitch hike. My Airbnb host, Meta, knew of a forum where Slovenians post long drives and offer rides to people for a small fee. It is like craigslist for travelers. As “luck” would have it: instantly we found a someone leaving from a nearby town this afternoon and heading directly to my destination tonight. Meta texted the driver, set up my exchange, drove me to the meeting point, handed me over to the guy in the Toyota, and we were off. It seemed simple and fun. Now, almost two hours into the journey, I smiled when I realized how present and trusting I have been: with my host; with my crew in the Toyota; with humanity; with everything. Not once did I wonder or worry. It all just felt really right. I’m enjoying my new friends even though I have no idea what they are chatting about. They are good, kind, and loving people, it’s obvious. To me, this is more than “trust.” It is a way of living that changes everything. It isn’t being lackadaisical. Instead, it is following an instinctive wisdom we all have while being fully present, yet certain of an impeccable future. 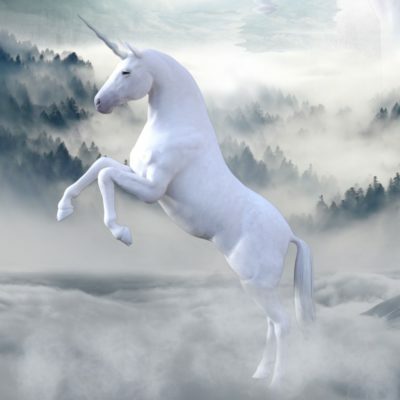 Trust to me is a unicorn. It’s made up. Trust to one person can be completely different to another. Your personal characterization of trust can shift and change. Trust is not a truth, it’s a human construct. On the other hand, there is something special that is like trust, but so much more profound. It occurs through the combination of presence and knowing everything will always be ok. The synergistic effect of presence and knowing all will be ok is so much greater than if either of the two were held separately. This “something special” is deeper and wider than “trust” could ever encompass. It has a different feel: it is the soft embrace of a peace that opens up endless possibilities for love, joy, and a life well lived. What is available in this space is sweeter than our wildest dreams. In this very moment, is everything ok? I’m not asking about today or the last five minutes. Instead, this very moment. Now. This millisecond. And this millisecond, and this one, and this one. Even if you are having a bad day or month, usually in this very instant everything is fine and dandy. Where are you? Mentally, are you fully present with where you are, with what you are doing, and/or the people you are with? Are you in the Now? When we are completely present there is stillness and peace that breeds joy, love, and a beautiful feeling of aliveness. The more time we spend in the present, the deeper these feelings become and the more alive and receptive we are. If you knew with certainty that everything will be ok, no matter what happens, what might that change? There may be moments where things seem not ok, but sometime later we can look back and see how those instances shaped our lives and we are still ok. Everything will always be ok. In this article I discussed something similar from a different angle: Everything that has happened since the beginning of time happened just as it did and has lead up to you reading this very sentence, right now. Everything. We can say the same about every instance the rest of our lives. In each instant (each now) things are ok. Everything will always be ok.
Knowing everything will always be ok relates to presence because in this state of mind, there is never a reason to worry about the future. Being fully present changes everything. I now fully understand everything will always be ok and this has changed everything. There are many moments when I forget this, but as soon as I remember again, I come back to the stillness where joy, love, and peace abound. This is where possibility and unlimited creativity live, where aliveness like no other takes center stage. Now they all are laughing… I am too. We made it to a gas station in time, but if we hadn’t it still would have been perfect. We don’t have to live on the edge all of the time, but when we live in the present moment and have no fear about the future, we give ourselves the opportunity to truly live. The secret to this is living more and more in the present moment and being at ease with yourself when you aren’t. The past has come and gone—leave it where it is. The future is bright, and it will come to us whether we worry daily or not. Life can only be lived right now. Sure, you’ll shift back and forth, in and out of presence. As soon as you notice you aren’t present, you immediately are. Do this enough and soon presence will be your predominate state: a place where you come alive and anything is possible. Try it on, practice living right now and being fully alive. More and more I am living in this space and I’ve never felt more at peace, open, and full of love. It’s there waiting for you too. PS: I’ve had (and have) amazing mentors and coaches who have helped me deeply understand all of this. Without them, I would not be in where I am today… I may have eventually gotten there on my own, but I am so thankful to have had the guidance and support that has allowed me to be on this amazing journey with a depth and breadth surely not possible otherwise. I want to be that for you. If you are interested, lets chat. Would you like to reimagine success? There is so much talk this time of year about goals for “2018.” I used to do that too, but I had realization that there is a MUCH better way. Read on for an entirely different, more dynamic, and prosperous view on “goals” … and discover how a lasso relates to these new ideas. Many goals are a destination—a place you want to be, a thing you want to achieve, etc. Often we forget about our present happiness, fulfillment, relationships, health, and so on. How successful and happy might you be if you fully enjoyed what you are doing now AND are heading in a direction that lights you up and gives you joy? My bet is the most amazing and magical opportunities will appear and those “goals” you have will be met and exceeded sooner than you imagine. Why? Because when we live and dance in the moment life comes alive, your creative potential skyrockets and possibilities appear all around you. The journey is where we spend all of our days! Enjoy it! 2017 was the most unbelievable of year change in my life. Many goals I previously had were left at the wayside… and they needed to be! Several of my dreams came to fruition in ways I could never have imagined. The most unbelievable opportunities popped up… and many of those opportunities were cloaked in what initially seemed like a tragedy. Here’s the kicker: Absolutely nothing went according to plan, my way of approaching life is vastly changed, my ingenuity is at an all-time high… and I still cannot believe I am writing this blog from my new home on wheels (my Airstream trailer) in Texas Hill Country with the entire space of North America as my potential back yard. <– This was not a goal for 2017!! All of this happened simpler and quicker than my wildest dreams. It happened with relative ease AFTER I stopped making goals. Instead, I pointed myself in a direction, trusted, and took one step after another. What did you accomplish in 2017? Take a moment and visualize this (like watching a movie of yourself on a wall in front of you). Imagine your dreams threw a lasso around your wrist and were pulling you toward an amazing future: There you are initially running and sometimes stumbling, but keeping up just fine. Your arm with the lasso around it is outstretched as if an extension of the rope that is stretched so long and far that it disappears in the distance. There is a look of astonishment (and some shock!) on your face melded together with an ear to ear smile. You are much much more of a passenger than a tour guide, and you are ok with that! You trust this ride is exactly perfect… even though you don’t know what “perfect” is. Amazement, happiness, success all are right there for you to experience in the now and continually appearing on the path. People see you and your rope and are intrigued. Many are joining in and are walking alongside (some have been a part of your life forever and there are many new faces too). Some people aren’t joining in and that’s ok. They disappear into the dust that fills the air behind you- maybe you’ll see them soon, maybe not. Sometimes you are meandering, sometimes sprinting as fast as Usain Bolt, sometimes jogging, sometimes walking. You are going with the flow in the moment all the while being pulled forward gently by your rope that is a constant companion. Even though I look back and see that 2017 was the most transformative year of my life, it also contained some of the toughest and heart wrenching days and weeks I’ve experienced. In the moment its ok to be sad, hurt, to cry, to lean on others. Everything always works out for the best- always. Sometimes it’s not apparent in the midst of a situation, but every tragedy is a blessing. Feelings are part of living- all feelings. Thankfully I was reminded by someone close to me to experience all the colors of the rainbow. Sadness, anger, disappointment, and all the stuff I often pushed under the surface. Each is a part of the rainbow of life. Feel it, experience it, and know that your feelings will come and go: sometimes swiftly, sometimes after a while. There is nothing “to do.” Go with it: Experience the wide array of colors and you’ll be richer for it. We naturally get much more out of ourselves when we insightfully understand more about who we are and how life works. When we really understand how something works, from a toaster, to driving a car, to gravity it becomes simple and easy. When we don’t have to think about it anymore and just do it: We toast our toast, we drive, and fall to the ground with a sense of ease and simplicity. With a deeper and deeper understanding about how our minds work, how life works, how the human system works… everything, absolutely everything continually simplifies. Don’t sacrifice current happiness for a future goal. Be happy now. Enjoy life, head in a direction, dance in the moment, see what comes up. Putting your nose to the grindstone isn’t the best way. Be gentle, be caring, be open: Have a vision and head in a direction. You don’t have to know how you will get there, because the unimaginable happens. When your nose is to the grindstone you miss out on the magical stuff. Enjoy the journey and be open to notice all the possibilities. Have fun, enjoy the people and places along your path. Life is so much richer with eyes wide open to the here and now. Many people think that happiness comes from success, but happiness breeds success. Be present, be happy and “success” will be inevitable. What do you notice in these ideas? I would love to explore more with you. This is your year of possibilities. What would you like to create? Consider this sentence, “Wouldn’t it be awesome if _____.” If you could fill in the blank with absolutely anything, what would it be? Put it out there! What would be fun, exciting, or just perfect for you? Point yourself in that direction, let that lasso loop around your wrist, and continue on your journey. Trust, be open, and see what happens… It just might be seemingly effortless and a lot fun. What would I most love to achieve in the next year? What is my next (or first) step? Point yourself in a direction. Take a step, see what comes up. Take another. 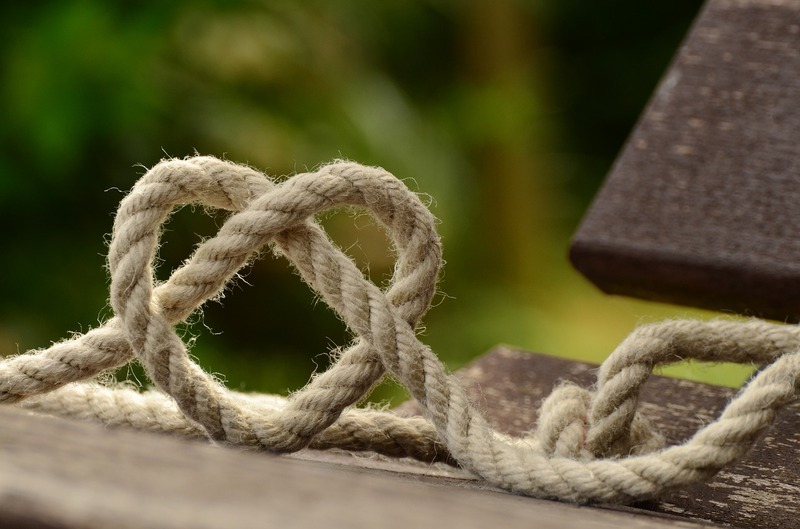 This is a simple process, once you have a deep understanding about who you are, how your mind works best, and how life works… then simplicity, happiness, freedom, and success all will be roped together with you in the lasso of life. Interested? I can help you get there all the while enjoying the journey. Let’s have a chat and start creating something amazing. Great news! I have openings for one on one coaching available now. Choose to invest in your most valuable resource:You! It’s a decision that will change everything. I believe this so much that all one on one coaching is backed by a 100% money back guarantee. There is no risk, only unlimited possibilities. Email me directly or or schedule a conversation with me here. Find out what people who thrive do, when they don’t know what to do. Last week I facilitated an inspiring discussion with a large group of entrepreneurs about trusting your gut and developing your intuition for sustained success. 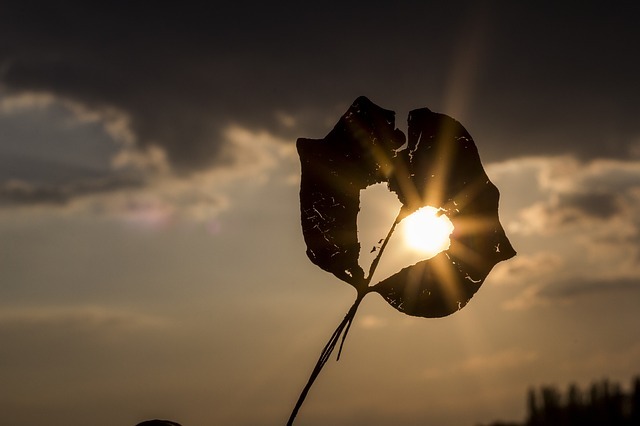 People had great realizations and several have reached out this week sharing wonderful experiences they’ve had as they practiced following their heart. The two core conversations that came up during our conversations were around chicken pot pies and “Hilda.” Hilda being name we gave to the voice coming from our car’s GPS. What the heck do chicken pot pies and your GPS have to do with making decisions? The answer is: everything. In this article we will dive into the simplicity and effectiveness of dialing into you internal GPS and then explore the chicken pot pie approach in my next article (Part II). Would you rather have an over view or turn by turn instructions? It will show the overview screen and that is it (no voice prompts). You will see the map of the entire US showing your current location, a long squiggly blue line, and a checkered flag at your destination thousands of miles away. This screen with the blue line is all you’ll see the entire trip and there are no turn by turn instructions. The GPS gives voice prompts only. The GPS screen is blank, but you have “Hilda’s” lovely voice giving you turn by turn instructions: “Continue 1000 feet and turn left”… “in 30 miles you will be turning right on Main Street”… turn right on Main Street and proceed 1500 feet”… etc. If these were your only two choices on your cross country trip, which one would you choose? After the discussion every person chose Hilda’s turn by turn instructions. Even more refreshing is what one person mentioned- it will be quite the adventure because you really don’t know what the next turn will be until you get close, but you know you are going to get to your destination and you know it will be the best route. Our internal GPS gives us turn by turn instructions in every part of life and throughout our entire life… we just have to tune in. Some people call the” internal GPS” our heart, our gut feelings, our intuition, our inner wisdom- it’s any or all of these. We’ve all experienced it, but we often let our analytical thinking get in the way. People who thrive tune into intuition and let it guide them every step of the way. Years ago I began having a pull to become a coach. I began wondering what I might call my business. One afternoon I was lying on my back in the living room stretching when an idea popped into my head: “You Revolution” and then I instantly realized by shifting the “r,” it now spelled it spelled “Your Evolution.” I shot up from the floor like a ball from a cannon. Standing there in a daze I realized if I then shifted the “e” over one spot to the left is now spelled “You’re Volution” I grabbed my phone to google “Volution” wondering if it might actually be a word. Google came though and gave the definition of volution as: a rolling or revolving motion. My gut was telling me there was no choice. I had to create something to empower people to transform, grow, and surpass what they though possible. Think back to a time when you experienced something similar: a time when your heart was telling you to do something, but your brain was saying “How?” or “You don’t know how.” Did you listen to your heart? Soon after the revelation I began taking small steps in the direction of Yourevolution. I began listening to my intuition, my inner gps. That GPS has given me turn by turn instructions: I take a step and see what comes up. I notice and then take the next step… and the next and the next. Even if I get off track (which I have many times), the gps “recalculates” and soon I am moving forward again. It’s been a grand adventure and I can’t wait to hear what my heart suggests next. It knows the way! Listen to your heart: sometimes the intellect thinks material things are how to be happy and how to achieve success in life. Your heart will steer you towards happiness. If you want success, happiness is where to begin. Success is born from happiness, not the other way around. As we get closer and closer to our own wisdom and intuition it’s magical how clarity unfolds and the perfect next step is there. You take one step towards wisdom and wisdom takes 3 steps towards you. I invite you to begin to notice more and more the little feeling or the voice inside that is encouraging you to follow your heart. The little voice is there. it’s always been there and always will. We just have to settle and quite the noise. Simple place to start is to take a step, see what shows up and take the next step. Then repeat. 1) Think of a decision (problem or challenge) that you have. Examples: making a move, a big business decision, or deciding if it’s time to leave a job. Now think of a possible course of action you can take. -Do you feel excited, enthusiastic or energized? If you feel excited or energized, this is your intuition giving you a hint and saying YES!! -If it’s not the right decision, you may feel down, bored, or drained. 2) Think of something you’d really like to do or experience or pursue. -Do you feel open to making this change? -Is this the right time to act on this decision? -Can you see a successful completion? This is just the beginning. Try it out. Notice. You can practice this anytime anywhere. If you are feeling a pull to do something, follow that instinct and see what shows up. It can be as simple as saying thank you or giving a hug to a loved one. Our hearts give us turn by turn directions. Listen to your heart- it knows the way. What will you do the next time you don’t know what to do? Watch your inbox for or check back soon for a special edition “Part II” for an even more in depth journey into the why and how of: What people who thrive do, when they don’t know what to do. FREE Live Online Workshop: Fast-Track to Success. If you have a strong desire to succeed, join me for an live workshop. In this interactive coaching discussion we will dive into identifying what you really want and pointing yourself in that direction. Then we will explore creating your future in a way that seems effortless and fun all the while achieving it quicker than you might think possible. Date: Thursday October 12th 6:00-7:15pm. Join in from anywhere in the world via PC, MAC, mobile device or phone. Join in and be an innovator: You will walk away with fresh new ideas, a plan, and a stronger confidence in what is possible. https://yourevolution.com/wp-content/uploads/2017/09/sun-622740_640.jpg 426 640 Kristy Halvorsen https://yourevolution.com/wp-content/uploads/2016/01/Logo-340-x-156.png Kristy Halvorsen2017-09-28 07:52:232018-05-05 02:24:28What do you do when you don’t know what to do? In the summer of 2015 I created a five year plan and now, 2 years later, almost everything in the plan has been realized. The past couple of years have been a time of unimaginable change, adventure, growth, and connections. It wasn’t all rainbows and butterflies, especially early on. I’ve learned quite a bit along the way, and even more important is the ever growing understanding about how the mind works and the world works. Life now is simpler, more full, and is a space of endless possibilities. I can’t begin to imagine what the next few years will bring. Two years ago if you’d have asked me if I could complete the 5 year plan in 2, I’d have said it was impossible. Creating what seems impossible, is within your reach too! The first 9 tips provide for the ultimate experience in creating your amazing future. You are heading in the direction of your dreams and you have all that you need to be happy and successful… continuous forward momentum is all that is left. Take a step and the next step will reveal itself… and repeat. See the orange tab below? Contact me now about your Complimentary Vision and Discovery Session to begin the trek up your fast-track of success. 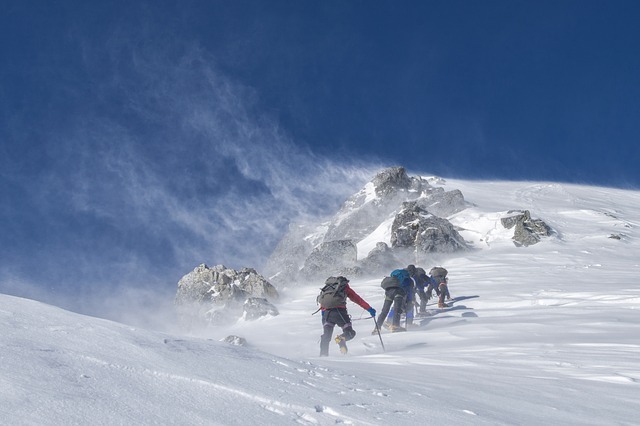 Having your own Sherpa (coach) changes everything. Join me as we team up to empower you to surpass what you think possible and live a life of freedom and ease. Whether you want to advance your career, grow your business, create an amazing retirement, excel in life, become stress free or anything else- Now is the time to have a life changing experience. Even better- your first session is complimentary. No strings attached. Contact me now for a 1 hour Complimentary Visioning and Discovery Session- Just one session can change everything! Date: Wednesday October 12th 6:00-7:15pm. Join in from anywhere in the world via PC, MAC, mobile device or phone. Last month we had a significant forest fire in North Port, FL that engulfed more than 4500 acres. It flared up on a blustery Saturday afternoon in the midst of a substantial drought. Forest fires are common this time of year and we are used to putting them out. There was no stopping this one. The news and social media were buzzing with reports and the updates were doom and gloom. We’ve been conditioned to think fire is bad. Is it? Fire can destroy homes, scorch forests, and blister our skin, but we often forget fire also stimulates growth. As a firefighter, I was out in the area of the fire the day after the big blaze. I saw the miles of seared forests and blackened landscape. Right away I noticed the number of birds and their zealous activity the day after the fire. Even more impressive was that just three days later the edges of the charred forest came alive with bright green carpet of grass. In less than a week the tall scorched black spikes that once were beautiful palm trees were sprouting the most brilliant green palm fronds. The vibrant green amidst the charred black was stunning. In what first seemed like a wasteland there was resiliency. Deep within the blackened landscape, life was teaming with an invisible energy. Soon, the forest will be even more beautiful than before. Relating fire to life, we all experience life as an individual and we each see a separate reality. Our personal realities are molded by our thoughts, though thoughts aren’t reality. Similarly, fire sometimes seems like an enemy and sometimes a friend. Fire is a natural and a basic part of our environment just like water, air, and land. We don’t judge water as “bad” because a river overflows its banks and causes a flood. Nor do we declare air a “monster” because of tornadoes. Since the beginning of time, just like water and air, fire has been a vital part of life on earth. Why, in the minds of many, does fire get such a bad rap? Surely you have enjoyed a cute dancing flame on the candle of a birthday cake or warmed your hands with mesmeric glow of a campfire. That’s the same fire that grew from one small flame to a towering inferno that ripped across the landscape on a blustery Saturday afternoon. 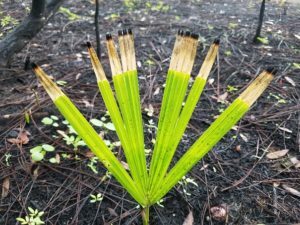 Notice the scorched tips of the fronds directly touched by fire and the brightness of the new growth. This is just 3 weeks after the fire. Even though we often see fire as an agent of destruction, in nature, it is an essential agent of change. Fire alters form: It breaks down thick brush and massive logs into ash that fertilizes the soil and breeds new life. 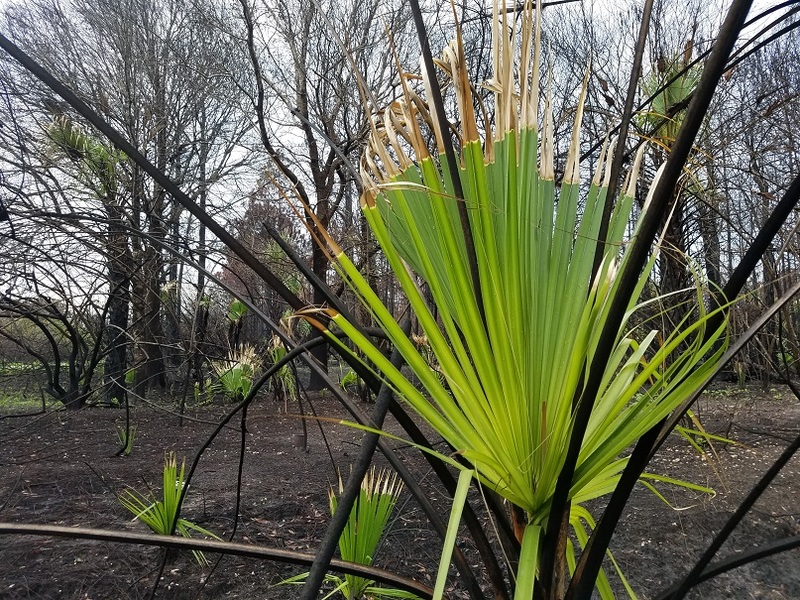 Fire changes space: an area that once was thick with sprawling tangled undergrowth becomes open and uncluttered and welcomes fresh vegetation and animal life. Fire plants seeds: The maturation and release of seeds from several plants and trees are triggered, in whole or in part, by fire or smoke. 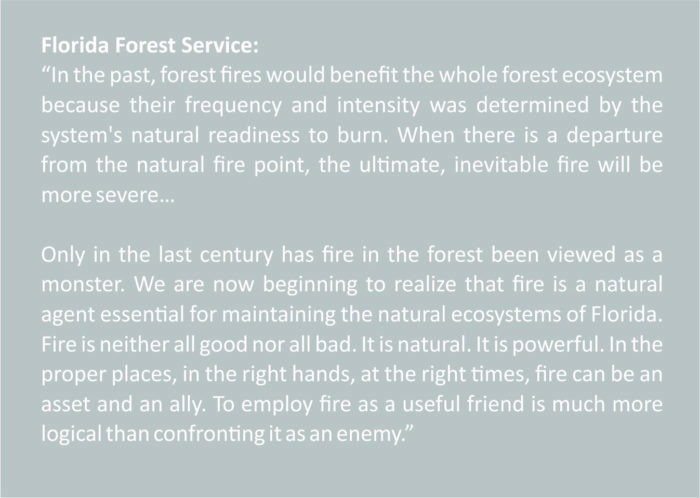 Simply put: natural fires keep forests vibrant, diverse, and scenic. If we shift into the thought of fire as a metaphor, how might it apply to your experience of life? Look back and notice an instance that (at the time) seemed like a destructive forest fire, but allowed a space for tremendous growth. In my life I can see many: a layoff that fertilized the soil for a flourishing career, an injury that helped spawn new thought, the close of a relationship that left space for growth and change. I invite you to take a moment and notice yours. Consider this- the next time an apparent “forest fire” rips through our space: What if we stepped back and wondered what seeds were being planted or what was changing form and being fertilized? What if we gave even more liberty to the endless possibilities of growth and open space in life? Might we realize that no matter what- it’s going to be ok? In fact, it’s going to be better than ok.
How might you employ “fire” as a useful friend? Share in the comments below what is coming up for you. What do you notice? How have you shifted your thoughts and actions?